This time of year most of us are dead-set on getting to the gym. With all of this holiday indulging, I like to call the month of December maintenance month. If I can celebrate a victory of not gaining weight because I am sure not going to lose it eating pie and cookies, I am one happy girl. And then in January it's time to hit it hard. Am I right?! Full disclosure: and for those of you who know me know I am a die hard indoor cycler and love spin classes taught in boutique studios. With that being said, boutique fitness is not necessarily for everyone and I believe traditional gyms still have their perks. For me especially with my cycling membership and an occasional kickboxing workout in another studio, there is not any budget left. And I would still often want to join a gym for the weights and the rowing machine. (oh my goodness, that thing is killer) I need all the things for strength training. And forget doing it at home. Exercising has never worked for me. I am also traveling so much right now. You should see my 2018 travel in just the first quarter. YIKES. I travel so frequently which makes it so hard to stick to any kind of routine and my boutique memberships are only good for their local location obviously so I am needing a place to work out that I can visit in various cities all over this world. Here in Tulsa and in other cities with booming fitness scenes it can be a bit overwhelming to decide whether or not you should join a gym, stick with boutique fitness, or do a little bit of both. And if you are gypsy traveler like me, well, a gym is just the way to go. So where should I join????? That was the looming question of the hour. I recently heard about Planet Fitness from my girlfriend Sonja. She has always loved working out there. They have 6 clubs throughout the Tulsa metroplex and all Planet Fitness locations are open and staffed 24/7. This is huge this time of year. 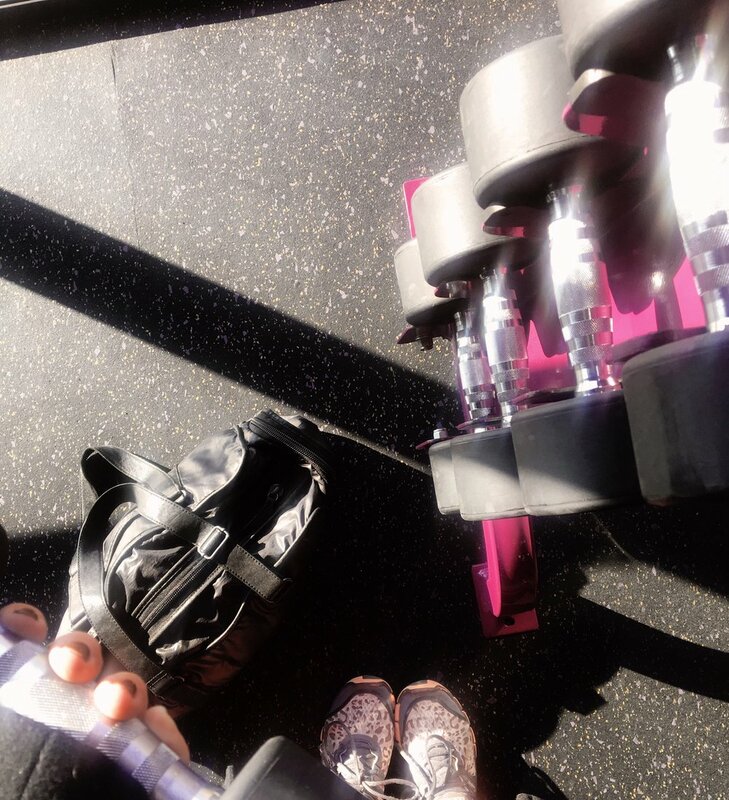 I am finding the schedules at boutique studios a bit challenging lately so the fact that I can still get some strength training in at any given time is just the bee's knees for me. I know this is huge for many of my friends too who are in the beauty industry. Their schedules are often not predictable and I am loving the flexibility that Planet Fitness offers. If your schedule is full of last minute meetings and randomly getting out of work super early your workout won’t be affected since you decide when to go. I cannot tell you you how many classes I have had to cancel last minute when my meetings got shuffled around and then I just miss my workout all together which is so not good for my mind or my waistline. And I have to pay for it too even though I did not go. Argh. Now for my crazy travel schedule, Planet Fitness has more than 1,400 clubs nationwide. Annnnd I can work out at any of those locations for no additional charge with the PF Black Card membership. This really sealed the deal for me you all. Plus I can bring a guest to any location at no charge with the Black Card membership and recruiting a strong work out buddy is one of the smartest moves you can make. In fact, having the right workout buddy can often be the difference between failure and success, mediocre results and incredible results. Even if you find you work better on your own, the right workout partner can force you to tap into those extra reserves of strength and energy so that you push through a few extra reps. The right workout buddy helps you give it your all, and if you want great results then you’ve got to give it everything you’ve got: you get out, what you put in. I love working out with a bestie. It's just more fun. 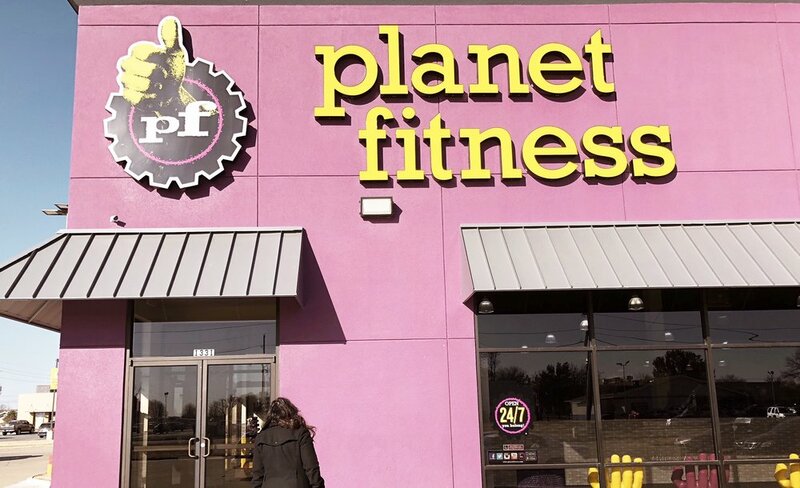 And speaking of besties, Planet Fitness also connects members with each other through “Planet of Triumphs,” an online community that celebrates all accomplishments and inspirational stories of PF members, inviting everyone to share their stories and encourage others. How cool is that?! A big important factor is always price options. Gym memberships can vary from incredibly affordable to a bit insane– and everything in between. With so many options for prices it’s easy to find a gym that has what you’re looking for and fits your budget. Planet Fitness offers extremely low prices with monthly memberships as low as just $10 or $21.99 for the PF Black Card. I think that's such a good deal, especially for someone like me who is planning on keeping my spin membership. I can totally justify adding the $21.99 to get everything else I need. And for being one of my loyal readers and followers, Planet Fitness is offering $0 down on the Black Card membership at any of the six Tulsa locations listed here through December 31st. I mean...WOAH! Just use promo code FrenchPF to take advantage of this amazing offer. Another major perk--you can access the Black Card spa area including unlimited use of HydroMassage chairs, providing a convenient way to enjoy the relaxing benefits of massage, typically enjoyed either pre-workout to loosen tight muscles or post-workout as a cool-down. Or just hop in there for a midday break to hide from the world. I won't tell. If you’d simply like to take advantage of Planet Fitness’ 2018 offer available in all Tulsa clubs (through Dec. 14), you can actually just pay $99 in full for an all-year membership in 2018. Yes, you read that correctly. All-year membership ladies and gents! Enjoy the fully equipped locker rooms, flat screen televisions, and small group fitness instruction by a certified trainer through the pe @ pf® program too (free with ANY PF membership!). What a perk for a person who adores trying new things. I personally love trying new classes at my gym because it feels like there’s no loss if I didn’t love the class- I didn’t pay extra for it! I never would have tried Zumba or learned about how awesome a conditioning class can be if I hadn’t tried those classes at the gym. That is how I fell madly in love with indoor cycling after all. • All clubs have spacious locker rooms and friendly staff. • Free fitness training is included in all memberships. Planet Fitness fosters a Judgement Free Zone® – a non-intimidating, hassle-free, welcoming environment that makes everyone feel comfortable. There aren’t any high pressure sales people. And this is just a favorite of mine. I cannot deal with high pressure sales. Life's too short for all that. I mean lacing up your tennis shoes and getting to the gym is a hard enough accomplishment and one that should not come with any form of judgement. Who knew working out could be so enjoyable?!! Planet Fitness is one to watch as they are transforming the gym scene and keeping things super affordable for everybody. Click here to find a location closest to you and get started. I went to The Riverside location today and enjoyed my experience very much. And it took me no time to get there from downtown taking Riverside all the way. I love the locker rooms and being able to get gussied up after the gym to meet this sweet one for dinner. Cheers to sweating and living your best self !! !